“I will give thanks unto thee; for I am fearfully and wonderfully made” (Psalm 139:14). “the most highly endowed organization of matter that has yet appeared on earth” (1949, 293). The professor spoke more than he knew! According to medical authorities, the human body is estimated to contain one hundred trillion cells. 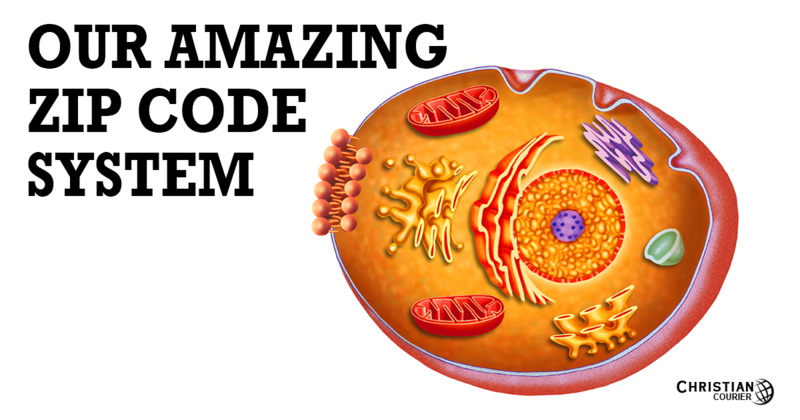 The cell is the most fundamental unit of biological life. Within the cell is a watery substance called cytoplasm, which contains many specialized features. For instance, there are mitochondria, which have been likened to “miniature power plants.” There are about a thousand of these in each cell. There are transport systems which convey materials from one site in the cell to another. But how do they locate the right “address”? There are microscopic “factories” which manufacture protein. It’s as if there are manufacturing and trucking firms, working cooperatively, in these tiny communities. There is a “garbage disposal” facility that eliminates wastes from the cell. The organization is baffling. The “brain” of the cell is the nucleus, which is separated from the cytoplasm by a thin membrane. Within the cell nucleus are chromosomes—long, thread-like bodies which contain protein and a chemical substance known as DNA (deoxyribonucleic acid). DNA has been called the “stuff of life.” The DNA in each human cell contains the “blueprint” for the production of the entire person. This chemical “alphabet” has been so “programmed,” that in some cells, only the “make bones” switch has been “turned on.” The same is true with reference to the eyes, the liver, etc. Scientists suggest that the set of genetic instructions for a human being is roughly three billion “letters” long. In 1999, Gunter Blobel, Ph.D., M.D., a cell biologist and a professor at Rockefeller University in New York, was awarded the Nobel Prize in Physiology — Medicine. Dr. Blobel has been involved in investigating the process by which newly-made proteins are transported across the membranes of cell structures. The accurate distribution of these proteins is vital in order for the cells to function. An understanding of this process has an important bearing on many diseases (e.g., cystic fibrosis, Alzheimer’s disease). The work of Dr. Blobel and his associates has revealed just how the proteins are transported from the ribosomes (where they are made) to be ultimately integrated into various areas of the cell. Blobel suggests that this directional operation is analogous to a “zip code” system. A zip code system! Each newly-made protein has a “specific address” that has been “barcoded” (if we may follow Blobel’s analogy) to find its way to its special destination. Did the zip code procedure of the U. S. Postal service just happen, or was it purposely designed? The answer is all too obvious to require expression. Blobel’s discovery only intensifies our reverence for the amazing planning that is evidenced in the human body. Who in the world, with an ounce of common sense, can believe that this complicated process is the result of the blind forces of matter—just a “happy accident” in that mystical union between “Father Time” and “Mother Nature”? The disciples of Darwin do! For his discovery, Dr. Blobel has been awarded a prize of $960,000. He has stated that he plans to donate the money for the rebuilding of a church, and also a synagogue, in Germany, both of which were destroyed by the Nazis during World War II. I mention this to call attention to the fact that one reasonably may conclude that Dr. Gunter Blobel is not an atheist. This runs counter to the infidelic claim that the world’s most brilliant folks are among the skeptics. Jackson, Wayne. 2000. The Human Body—Accident or Design? Stockton, CA: Christian Courier Publications. Simpson, George G. 1949. The Meaning of Evolution. New Haven, CT: Yale University Press.